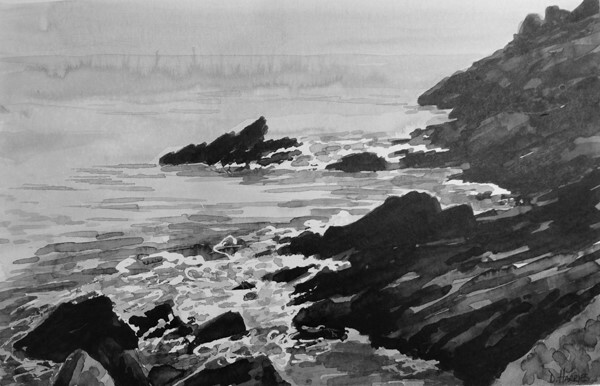 Indian Ink painting on watercolour paper in white mount. I loved the black rocks against the sea on this misty morning in St.Ives. It felt very moody.